The Trump administration wants to turn over control of the nation's skies to private business. President Trump announced plans Monday to privatize the nation's air traffic control system, arguing that it is the best way to modernize the system. "We live in a modern age, but our air traffic control system is stuck, painfully, in the past," he said at a White House event attended by current and former transportation department officials. "Americans can look forward to cheaper, faster and safer travel." He argued that moving the system to a private non-profit corporation will help speed up the shift from using land-based radar to using more precise GPS tools. Trump and Transportation Secretary Elaine Chao said the change would also reduce costs and fuel consumption for airlines. "The current system can not keep up and hasn't been able to keep up for many years," Trump said. 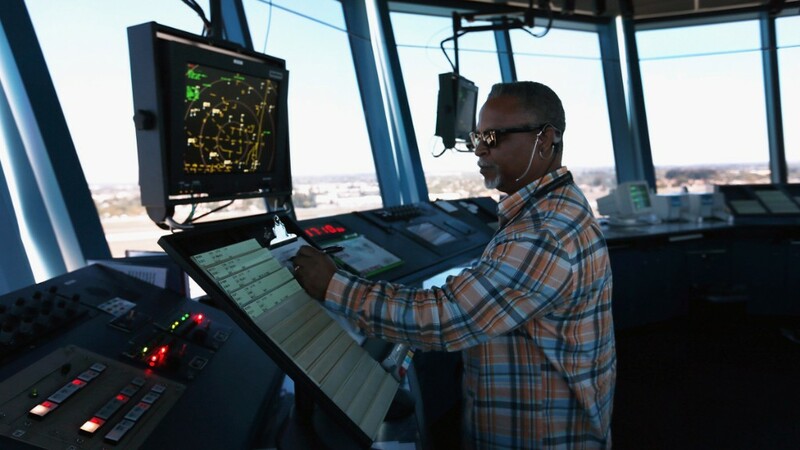 "At a time when every passenger has GPS technology in their pockets, our air traffic control system still runs on radar and ground-based radio systems that they don't even make anymore. Many controllers must use slips of paper to track our thousands and thousands of flights." The FAA has been moving towards a GPS system for a number of years, but it's not scheduled to be fully implemented until at least 2020. Privatization has long had strong support among the nation's airlines, and Republicans have advocated for it for years. And it's not just the far right that backs the move. In fact, Canada, which typically has a more liberal government, privatized its own air traffic control system in 1996. Other countries including Australia, Germany, New Zealand, and Switzerland have followed suit. But at a congressional hearing earlier this year, Democratic lawmakers pointed to customer service horror stories at the nation's privately-held airlines, such as the passenger that was dragged off a United Airlines flight and massive computer problems that grounded thousands of flights. They argue these problems are proof that private business should not be trusted to do what's right for passengers. The air traffic control announcement Monday is the start of a "infrastructure week" planned by the Trump administration. Trump has repeatedly promised to spend $1 trillion on infrastructure to improve airports, highways and other forms public works, though details of those plans have yet to be revealed.